Rock & Heavy Metal on vinyl albums from 1980s, of band-names starting with the letter "R"
"Second Heat" is the Racer X's second studio record, and introduced two new members to the band lineup, Bruce Bouillet and Scott Travis. "Ram Jam" is an album released by Ram Jam in 1977. The first track on the album, the single "Black Betty", is Ram Jam's best known song. It reached the #7 position in the UK singles chart in September 1977. The album reached #34 in the Billboard Pop Albums chart in the US. RANDOM a German Hard Rock/Heavy Metal band who supported Running Wild, S.D.I. on the 1991 Tour. Random is planning to become active again in 2008. "Wrecking Ball" is the one and only album released by the Chicago Heavy Metal band "Ravage". It has been recorded and released in 1986. It has been recorded, mixed and mastered in the Fantasy Studios, Pierce Arrow Recorder, Solid Sound Studio. Album cover artwork was done by Guy Aitchison. "Evil Invaders" is the second full-length album and third official recording by the Canadian Speed/Thrash Metal band "Razor" from Guelph, Ontario. The album was produced by "Walter Zwol" and released during 1985. "The Witch Queen of New Orleans" is the European release of "Message from a Drum" and is the third album by American band Redbone released in 1971. "Ashes Are Burning" is the album by progressive rock band Renaissance, released in 1973 It was the first of several Renaissance albums to feature an orchestra playing along with the band on some songs. 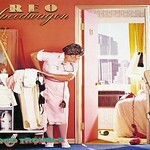 "Nine Lives" is the eighth studio album by REO Speedwagon. Richie Havens - Alarm Clock . Richie Havens is perhaps best known for his intense rhythmic guitar style, soulful covers of pop and folk songs and his opening performance at the Woodstock Festival. The band "RISK" is founded by three ex-members of "Faithfull Breath" namely Heinrich Mikus, Jurgen Dusterloh, Peter Dell and was complemented with Roman Keymer and Thilo Hermann. The RISK band has been active from 1986 until 1993. "The Principle of Moments" is the second solo album by former Led Zeppelin singer Robert Plant. It was Plant's second top 10 album in the US and UK. It also gave him his first solo Top 40 hit with "Big Log"
"The End of an Ear" is the debut solo album by Soft Machine's Robert Wyatt. "Rock Goddess" was an all-female heavy metal band from the New Wave of British Heavy Metal era that briefly enjoyed cult status in the early 1980s in Britain. is the original soundtrack album to the 1975 film The Rocky Horror Picture Show, an adaptation of the musical The Rocky Horror Show that had opened in 1973. This is the soundtrack released as an album in 1975 by Ode Records, produced by Richard Hartley. "First Visit" is the debut / first album by the British Heavy Metal band (NWOBHM) "Rogue Male", ?it was produced by Steve James and released in 1985. "Moving Pictures" is the eighth studio album by Canadian rock band Rush. The album was recorded and mixed from October to November 1980 at Le Studio located in Morin Heights, Quebec, Canada, and released on February 12, 1981.